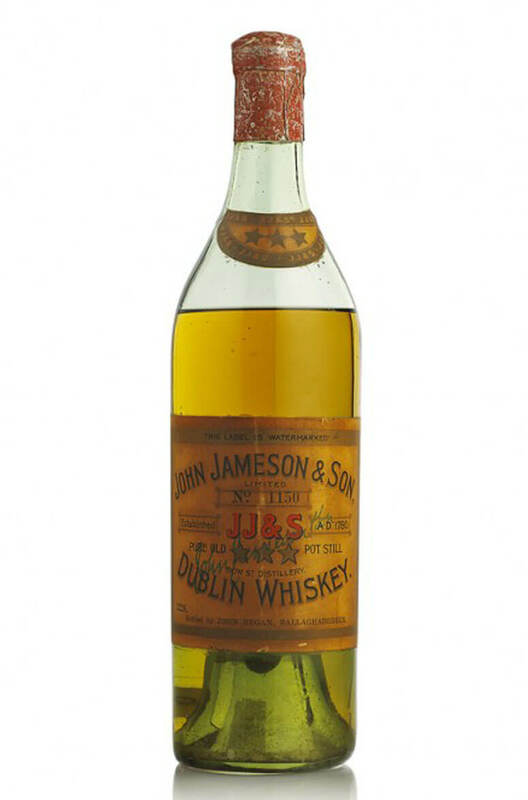 A rare old Jameson bottle in aquamarine glass and bottled by John Regan, Ballagheradeen, County Roscommon. A letter accompanied this bottle when we bought it and states that the vendor is the grandson of John Regan and also that the bottler ceased trading in 1919. The label shows signs of ageing but is in good condition. There is some wear and tear to the capsule which states 'Ten Years Old', however there is no age statement on the label or elsewhere. The label proudly states 'Pure Old Pot Still' and is numbered with #1150. Contents volume and strength are not specified. The level is just into the shoulder of the bottle. Distillery Jameson, Old Bow St Distillery, Dublin.